Who can you turn to next year? Walking around with a camera is my way of always being able to "capture an idea." I've realized that there are learning opportunities ALL OVER the place. This is why I founded the "Ojai Institute" last year; and, it's why I continue to find, join, and maximize courses and classes myself! By putting myself into a position to learn, I've put myself in a place to grow. Next year, I'm moving in newer, bigger, "funner" directions. With the launch of the book, a redesign and update of our performance management programs, and all kinds of travel coming up, I'm sure to have some big opportunities in 2010. Last fall, both Jodi and I spoke at a conference ( online ) with many experts out there. One guy that I shared the virtual stage with, Gary Vaynerchuk, (scroll down a bit...) is someone I continue to look to as we build and promote the "brand" of The Womack Company. We help people do more...So they can do more! When I went over to Amazon.com the other day to check out our book, The Promise Doctrine, I saw that people who looked at our book also looked up Gary's book, Crush It. Saw this article in the journal today, and read the whole thing. Thanks go to Diana Middleton, she brought some good ideas to us. 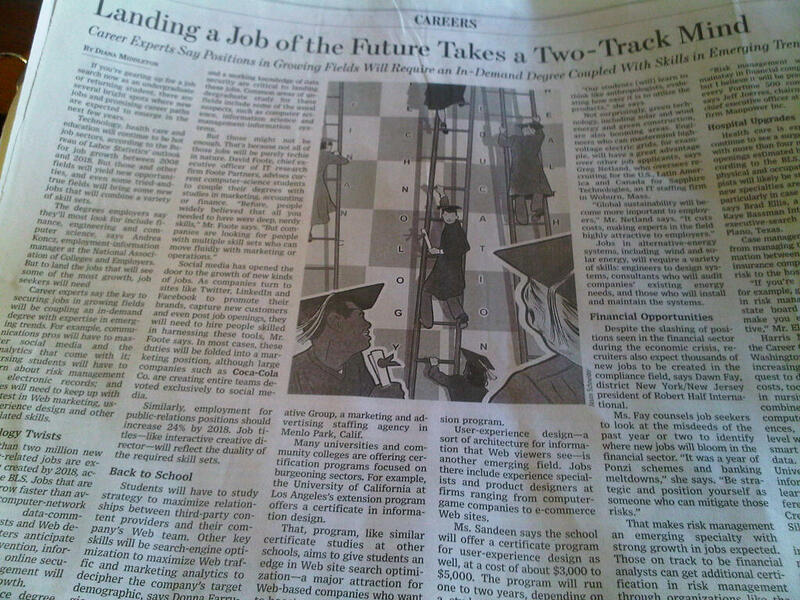 The title: "Landing a Job of the Future Takes a Two-Track Mind." Waiting until you have time to do something works. I mean, think about it, every time you HAVE waited until later, you got done what you had to get done...Right? Sure, it may have been a bit more stressful. You may not have gotten the exact results you were hoping for. Perhaps it was a bit "less" complete than you had anticipated. BUT, you got it done, didn't ya? Over the past 14 months (how long it took us to write The Promise Doctrine) I realized something about my own productivity. In fact, this ah-ha has led to me changing the way I communicate, work out, read and research...Just about everything is affected by this realization: I just need to get started. Take this blog entry, for example (me writing it, you reading it). All I really did was sit down, close my eyes, and imagine a new post up on my blog. From there, I asked myself what one word was on my mind...And, it was "Procrastination." That's when I jumped over to the wiktionary.org site, looked it up, and knew that this was an action for today. No putting it off until tomorrow for me! Oh, one more thing, before I started writing, I visualized the "next" thing I would do after the entry was written and posted. So, I'm off to the gym now! 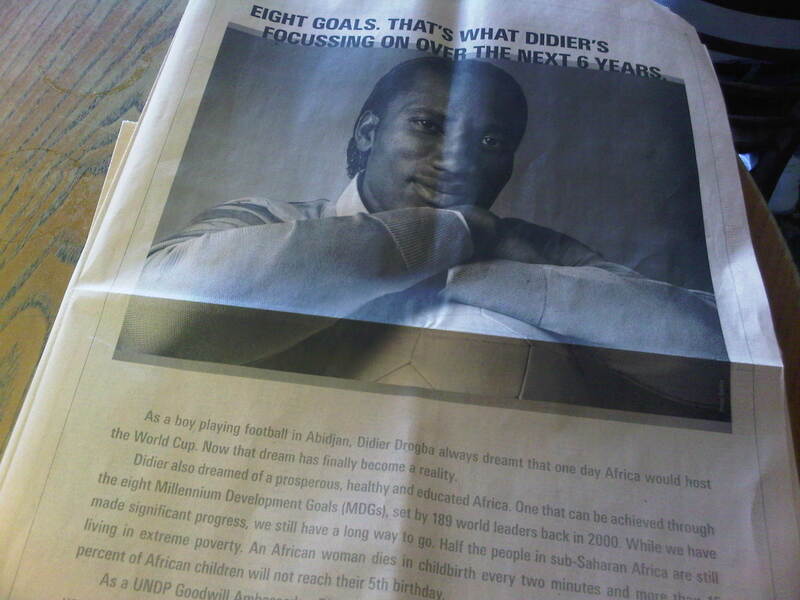 6 years, to focus on 8 goals...that sounds awesome! That line jumped off the page to my awareness this morning. It makes me pause to reflect on my "game." In the recent video (http://www.tinyurl.com/ScobleInterview), I mentioned how much of The Promise Doctrine, as it is written, is a reminder to me of the practices and processes I can use to engage. I'd love to share a copy with Didier Drogba! The day after I celebrated Christmas with my family, my dad and I drove down to Half Moon Bay to chat with Robert Scoble about our book, The Promise Doctrine. If you watch the video, and want chapter 2 for free, go here. When we got our book out onto Amazon, I know I thought about the books I'd like to see "on the same shelf." Here's a picture of what Amazon thinks! Can you dream as big as they can? I'd love to attend a TED conference someday...On the top of my list is TEDIndia. And, if I get there, I'll do what I can to meet Pranav Mistry. He's the founder of SixthSense and the new, paradigm-shifting paper "laptop." If you can, stay until the end to see the Q&A. It's pretty amazing!